A true home from home! 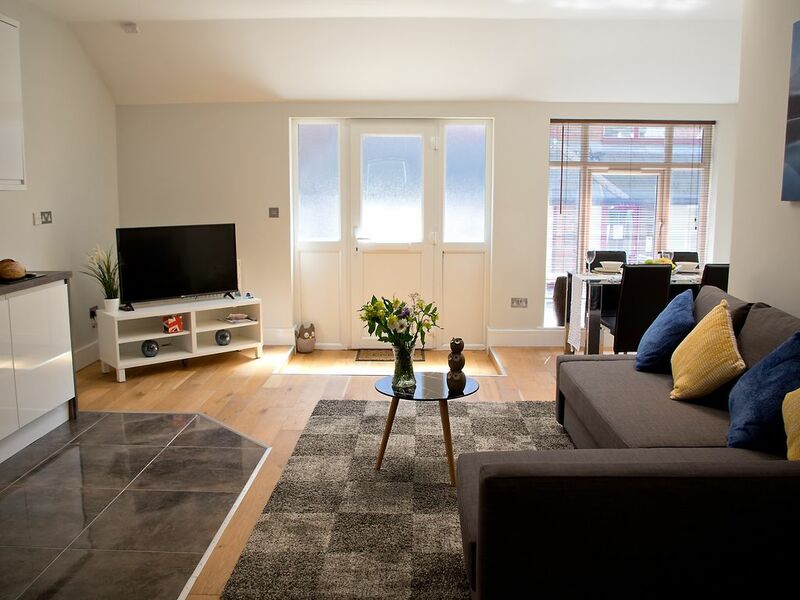 This is a brand new, beautifully furnished and comfortable boutique apartment, with a truly central location, is perfect for business travellers or visitors. This lovely Serviced Apartment includes all the home comforts that you could ask for. Fully-equipped kitchen with everything you need to cook just as if you were at home complete with a 4 Seat dining space. A great living room area, with a large corner sofa and a Smart TV with Netflix subscription and catch up/digital services. The bedroom has a large comfy bed, great pillows and lots of storage. The bathroom has modern styling with accent lighting and a large shower. We include all the bed linen and towels as for your stay, and an iron, ironing board, hairdryer. The town centre is just a short walk away with a huge range of bars, restaurants, and shops literally a minute away.